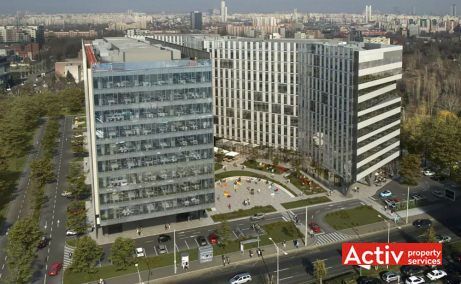 Campus 6 is one of the main office projects under development on the central-western limit of Bucharest. 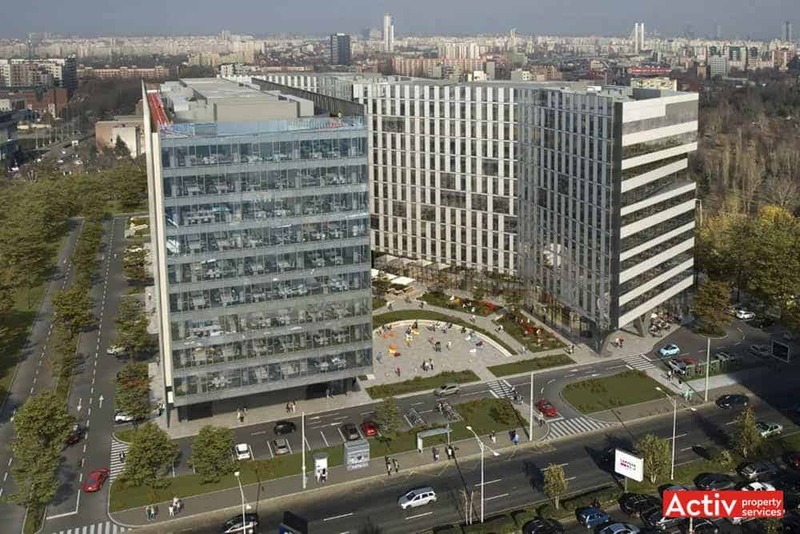 The project is located at the junction of Iuliu Maniu and Vasile Milea boulevards, across of Politehnica metro station. 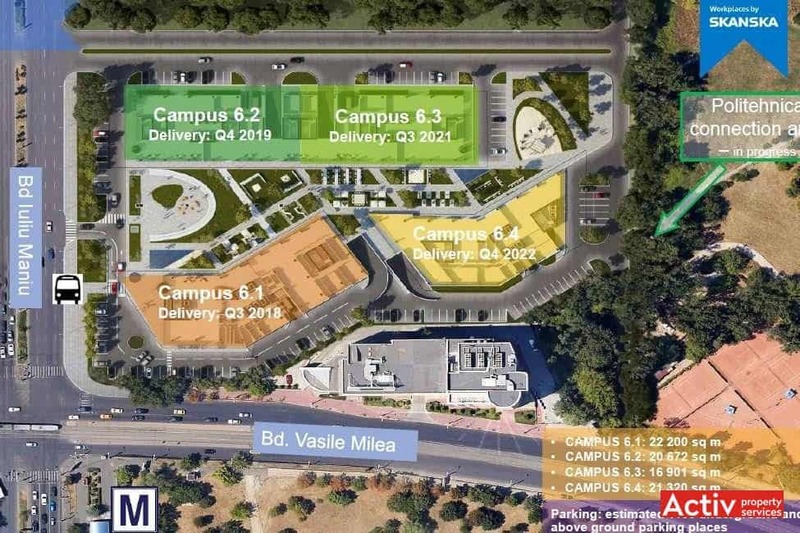 Campus 6 is placed adjoining the Polytechnic University of Bucharest, respectively at 300 meters from AFI Palace complex (shopping centre / offices) and 450 meters from Cotroceni Palace (Romanian President). 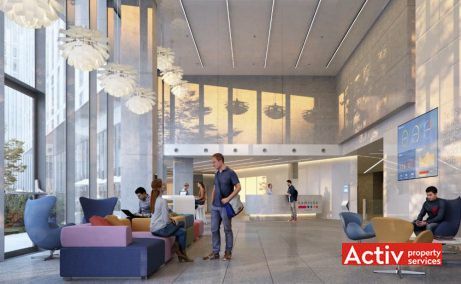 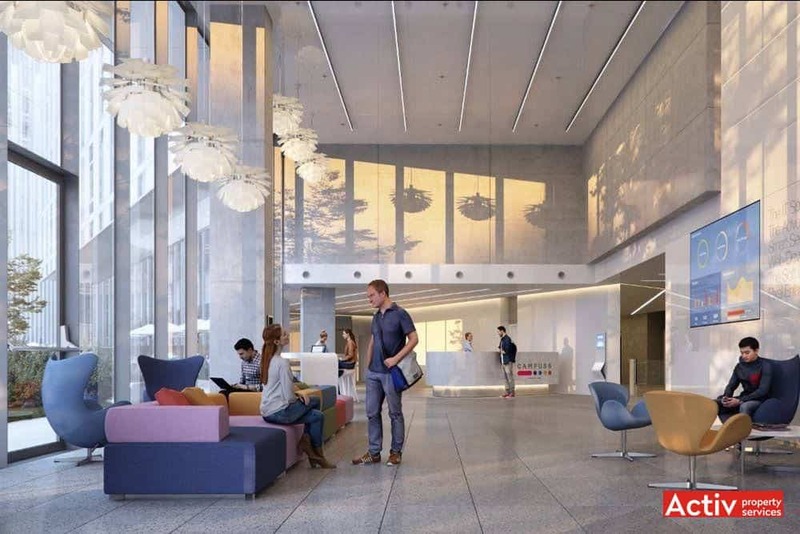 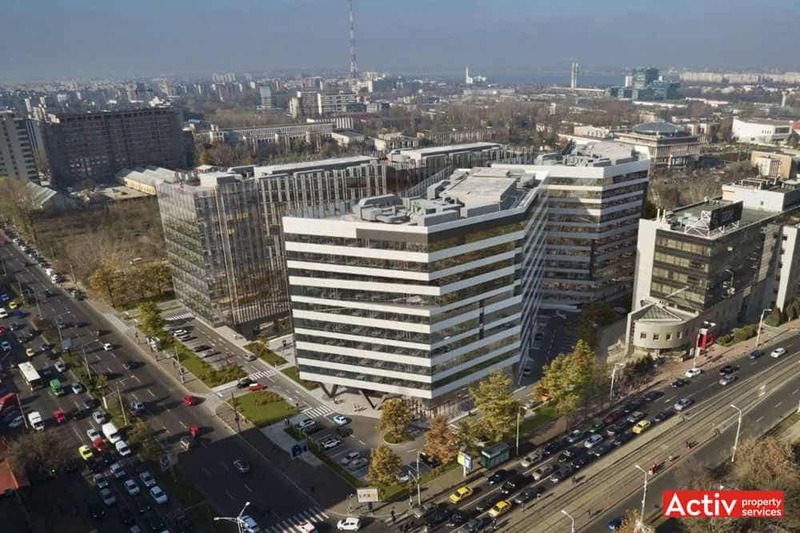 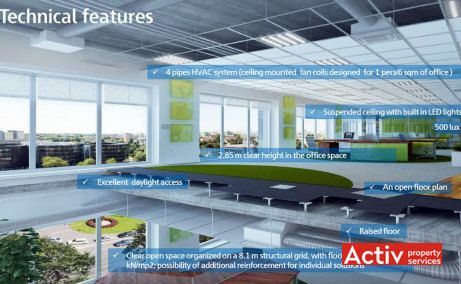 The location on the inner-ring that surrounds the central area provides Campus 6 with a direct and easy access to the new office area Grozavesti-Orhideea (1 km) and Bucharest’s central business area Victoriei Square (3.5 km) through the Basarab Passage. 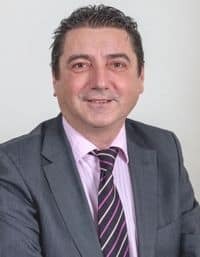 The public transport is excellent represented and includes metro (Politehnica) and all means of ground transportation (buses, trolley-buses, trams). 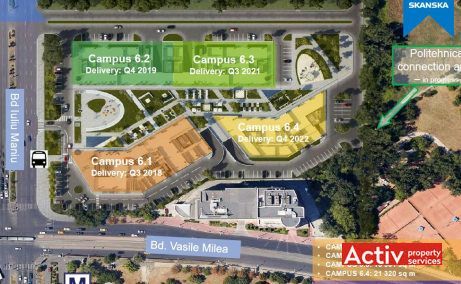 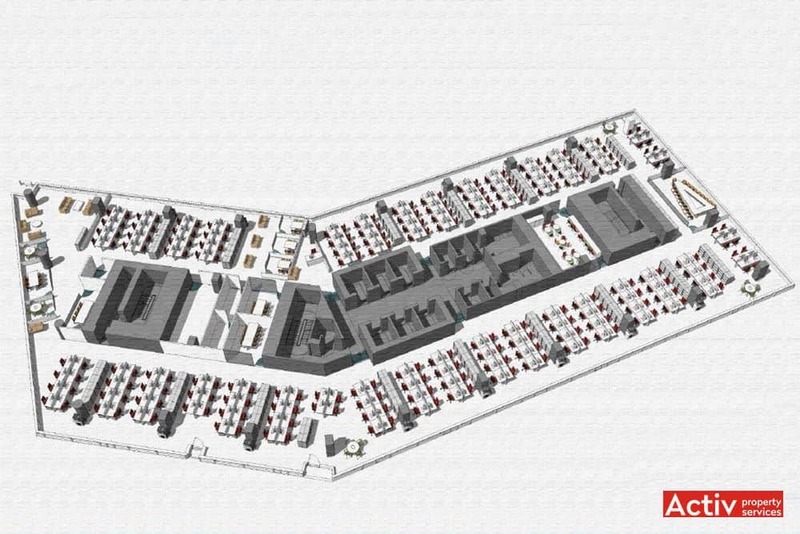 Campus 6 includes 4 office buildings (U+GF+10) with a total of over 81,000 sq m GLA, announced for delivery during 2018-2022. 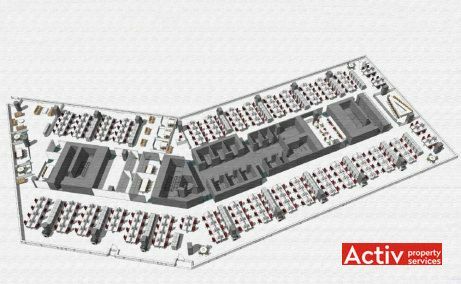 The 1st building having 22,200 sq m GLA, respectively 2,200 sq m GLA / floor, was completed in the second half of 2018. 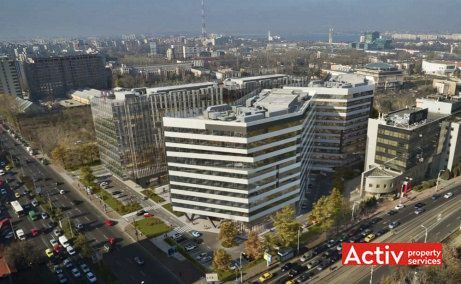 The 2nd & 3rd buildings are under construction, having announced delivery for Q3 2020, being the the first buildings in Romania that are WELL certified. 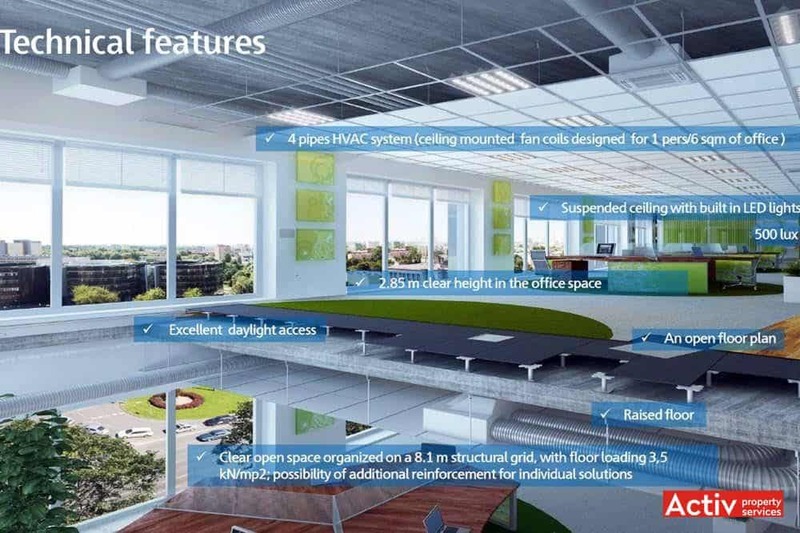 The 2nd building is fully let by Microsoft.